Come join our fun group! We get results and have a great time. 39* This TB, and so close to 41*. Looking to replace 2 members who went missing during TB. Come be the one to push us to 41*! Come join us, currently GP 103 million and we have cookies. One spot left. One spot open to help push us to 40*, come join us you won't be disappointed. @Tynecastle - thanks to replying are you on discord? Still looking for 1 or 2 new tribe members! Still looking for 1 new tribe member! Come for the Halloween party and get candy and mod advice! 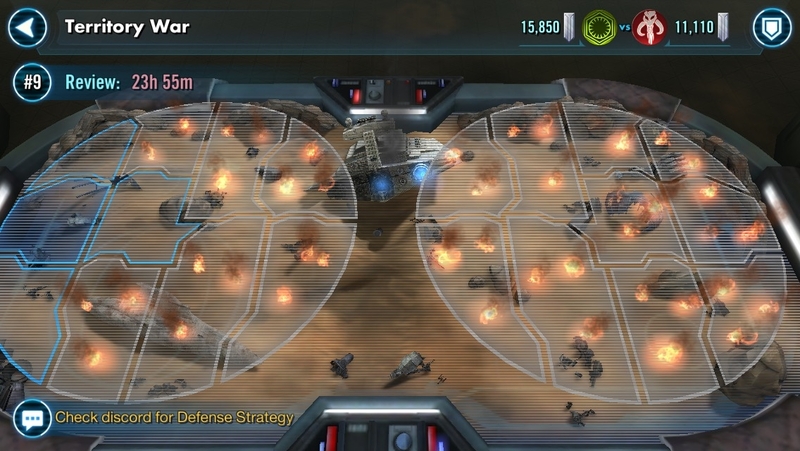 What we lack in GP we more than make up for in strategy. We're a very organized crew who thoroughly enjoy working as a team to strive for success!! Please PM either myself or @Sunnie1978 if you're interested. Come join us and push our TW record to 3-0!!! Who is ready to join us? We are currently looking for 1 member. Will it be you to help us to the top 3 ranking in TW (currently 4th, 5-0 record)? We will have space for 1 new member after the end of the current TB as a member is taking a break from the game. 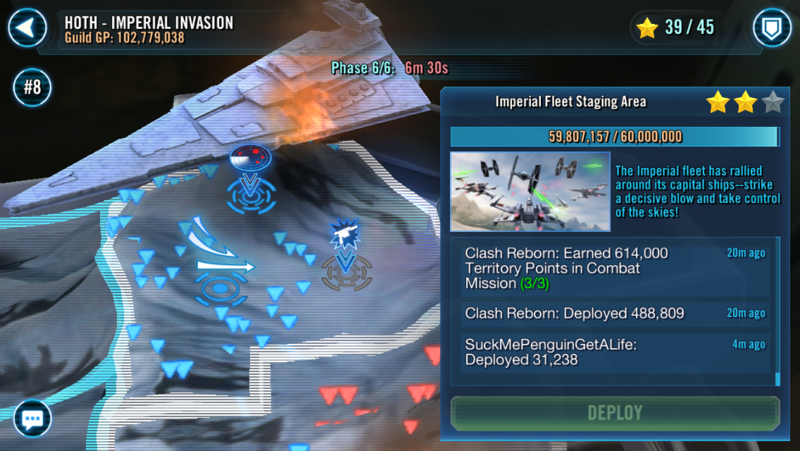 1 spot open for a player who is active daily, has a minimum of 1.8 million GP higher, 2 of the following three toons: 7* CLS, a 7* Hoth rebel scout or a 5* Hoth rebel Soldier, a 6* LS capital ship, 50 7* toons, and at least one 3* Ewok. 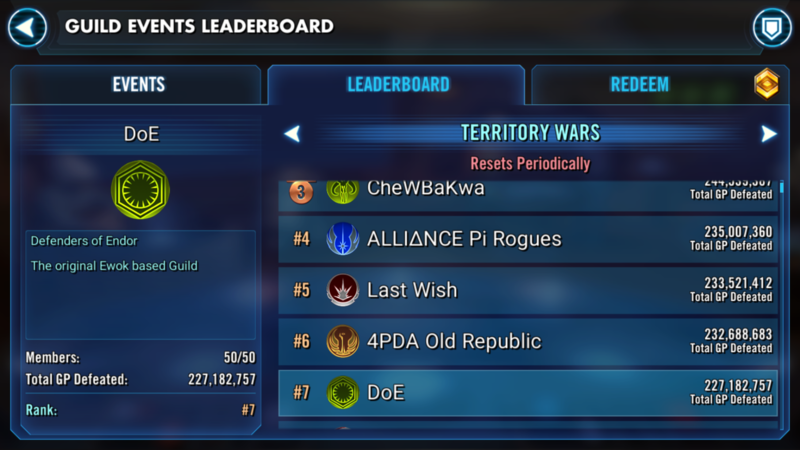 Come join the ewok party! 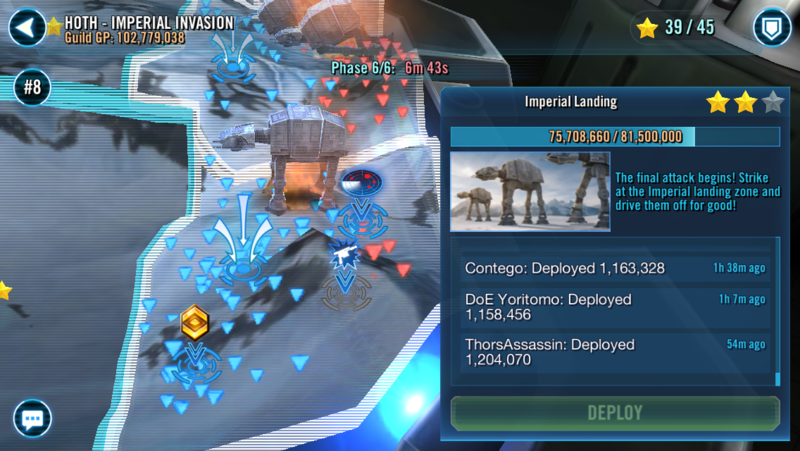 1 spot open for a player who is active daily, has a minimum of 2.2 million GP higher, 2 of the following three toons: 7* CLS, a 7* Hoth rebel scout or a 5* Hoth rebel Soldier, a 6* LS capital ship, 50 7* toons, and at least one 3* Ewok. Who is ready to join this fun bunch? You down with DoE?? Yeah you know me! !